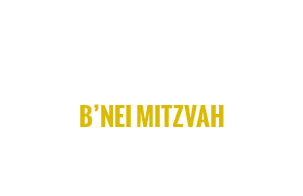 B’nei is the plural form of the words “Bar” and “Bat”. Bar is an Aramaic word literally meaning "son" while bat means "daughter" in Hebrew, and mitzvah means "commandment" or "law" (plural: mitzvot). The term refers to the person that participates in the ritual, although it is also used to refer to the ritual, itself. The ritual signifies that the child, between the ages of 12 and 13, is taking responsibility to become a member of the Jewish community and is the first time that they are invited to read from the Torah.